So does that mean you can plumb both the crankcase pcv and rocker cover to the intake pipe before the turbo which also has your air filter on the end? I.e. If I ran a 3 port catch can in that setup would it be better? Or would there be a better way of routing it? 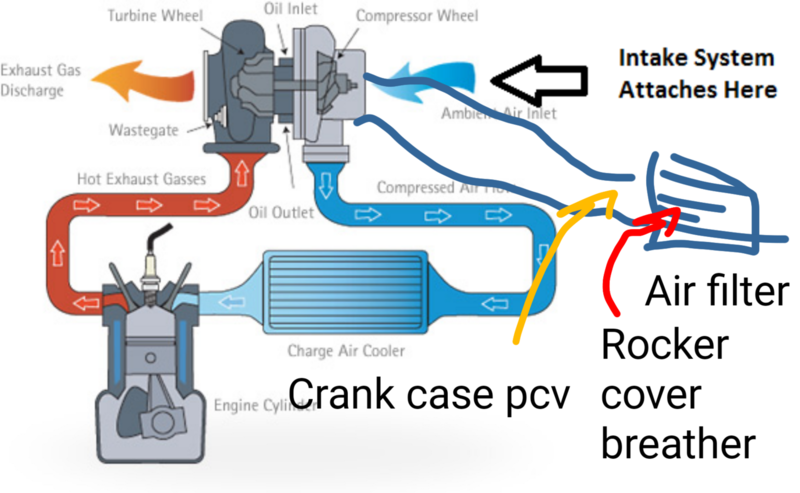 Here is a link to a pdf article on the Australian Rex Bunn developed breather system used for classic motorcycles but relevant to any engine especially high RPM engines, You can also search for and read the patent documents to gain a better understanding of engine breather systems and work out how to improve you own system.